A Toploader transmission is a manually shifted three and four speed gearbox introduced in 1963 by the Ford Motor Company to replace the BorgWarner T-10. 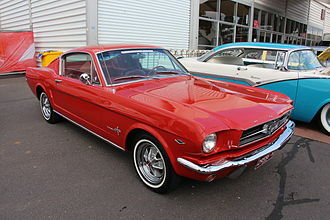 It was used in most Fords and Mercurys from 1964 until 1973 as well as some foreign models. Officially designated the 3.03 three speed or Ford design four speed. The 3.03 is the centerline distance between counter shaft and mainshaft. The Toploader got its name from the fact that the access plate to the inner workings was located on the top of the main case as opposed to the side, a convention used on most gearboxes such as the Ford Dagenham or GM's Saginaw or Muncie. This feature increased the rigidity of the case significantly. Distinguishing the three speed from the four is as simple as counting the fasteners on the top plate. The four speed has ten; the three, nine. Both the three and four speed top loader gearboxes were designed to function in constant mesh, due to synchronizer sleeves being used instead of sliding gears, and be fully synchronized, with the exception of reverse. 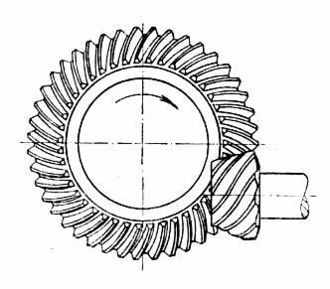 Forward gears are helical-type while reverse gear including the exterior of the first and second synchronizers sleeve are spur-type gears. 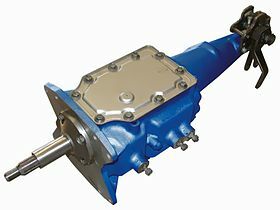 This transmission is also known as the Tremec T-170, HEH, or RUG depending on the year(s) of production. At some point in the early 70's production was moved to Mexico and the name was changed to Tremec. 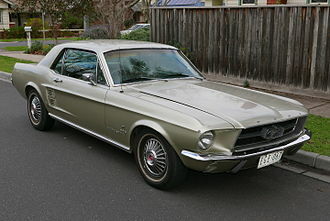 Renowned for high-performance indestructibility, the Toploader, particularly the four speed, was equipped in such sought after "A-list" cars as the Mustang, Talladega, AC Cobra, AC Frua and Sunbeam Tiger as well as the Ford Fairlane, Falcon, Galaxie, Ranchero, Torino, Bronco and the Mercury Comet, Caliente, Cyclone, (Mercury Cougar 1967 1973) and Marauder. Overall the Toploader was used in 133 different models and was used extensively in racing as well. The 3 speed 3.03 was also the heavy duty transmission in 60's Olds, Buick and Pontiac cars, with FOMOCO cast into the right side, but this was common in those days-remember Lincoln used GM's Hydra-Matic for years in the early 50's . 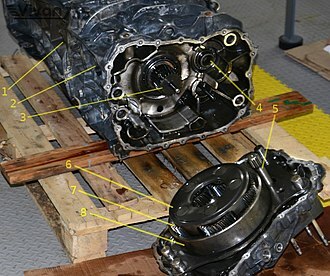 Chevy pickups used this same transmission in the 76 -82 Chevy & GMC pickups, vans and Suburbans. It is the Jeep T150 with a cast top cover with a cane (floor) shifter. Top and side view, with Hurst shifter. 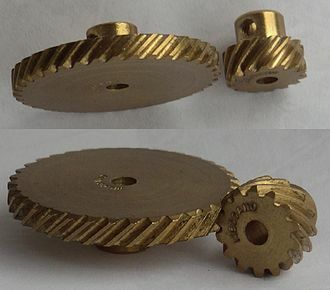 The Toploader comprises two components: the main case, which encloses the gears, input and counter shaft, and the tailhousing, which encloses the speedometer gear and output shaft. The main case measures 12" in length, while the tailhousing measures 14", 14 ​1⁄2" or 17", depending on the application. Shifter bosses are cast into the tailhousing along various points depending on the location of the shifter, as required for each model. Generally Falcons and Comets have shifters mounted forward along the housing, Mustangs rearward, and Fairlanes and full size Fords somewhere in between. Toploaders were also designed for two specific applications: small blocks like the Ford Windsor engine, and big blocks like the Ford FE engine and Ford 385 engine series. Some big blocks required a larger "input shaft" to withstand the torque. Note: 1964 and early 1965 Toploaders came with 25 spline output shafts which subsequently proved to be defective and were quickly replaced. 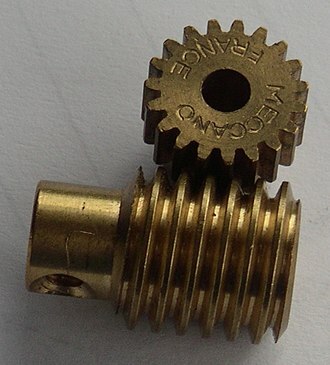 Note: Gear ratio is determined by tooth count on second gear. Close ratio has 28 teeth, wide has 31. ^ O'Clair, Jim (February 2007). "Ford Toploader Four-speed Transmission". Hemmings Motor News. Retrieved 2010-01-02. BorgWarner Inc. is an American worldwide automotive industry components and parts supplier. 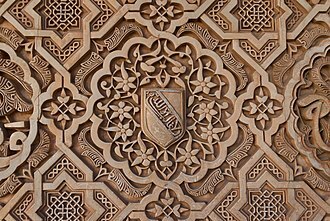 The company has 60 manufacturing facilities across 18 countries, including the U. S. Canada, Europe and it provides drivetrain components to all three U. S. automakers, as well as a variety of European and Asian original equipment manufacturer customers. BorgWarner has diversified into several automotive-related markets, including ignition interlock technology for preventing impaired operation of vehicles, BorgWarner was known for its ownership of the Norge appliance company. 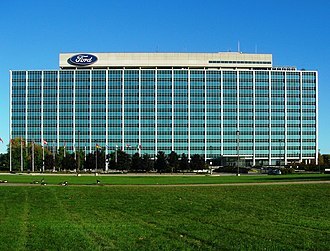 Ford took up development of the transmission in Studebakers place in 1955, the early Ford automatics are derivatives of the Borg Warner. In the 21st century, the changed the styling of its name from Borg-Warner to BorgWarner. The company is notable for co-developing a variable-geometry turbocharger with Porsche. BorgWarner claims this technology will reach mainstream cars within 10 years. 8T power plant, BorgWarner supplies wet clutches and hydraulic modules for dual-clutch transmission systems. With their DualTronic technology, BorgWarner has gained contracts with European automakers that want to use dual clutch transmissions, the German automotive concern Volkswagen Group is BorgWarners largest customer, and Europe is their largest market. Light vehicles account for 72% of BorgWarners total sales, the companys world headquarters is in Auburn Hills, Michigan. Robert S. Ingersoll formerly served as the companys CEO and Chairman, BorgWarners Powertrain Technical Center is based in Auburn Hills. On October 2,2006, BorgWarner announced the purchase of the European Transmission, key products are turbochargers and other related engine operation components. BorgWarner Drivetrain Group, The fundamental core of this division is its automotive transmission systems and these include manual transmissions, automatic transmissions, and the critically acclaimed DualTronic dual clutch transmission, which is more commonly known as Volkswagen Groups Direct-Shift Gearbox. Other responsibilities are its four-wheel drive systems and transmission control units. 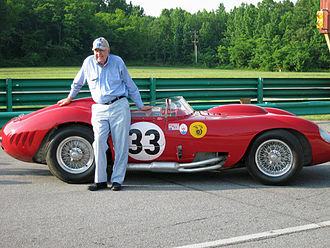 Shelby had carried out a similar V8 conversion on the AC Cobra, and hoped to be offered the contract to produce the Tiger at his facility in America. Rootes decided instead to contract the work to Jensen at West Bromwich in England. Two prototype and extensively modified versions of the Mark I competed in the 196424 Hours of Le Mans, Rootes entered the Tiger in European rallies with some success, and for two years it was the American Hot Rod Associations national record holder over a quarter-mile drag strip. Production ended in 1967 soon after the Rootes Group was taken over by Chrysler, owing to the ease and affordability of modifying the Tiger, there are few surviving cars in standard form. The Sunbeam Tiger was a development of the Sunbeam Alpine series I, Rootes realised that the Alpine needed more power if it was to compete successfully in world markets, but lacked a suitable engine and the resources to develop one. The company therefore approached Ferrari to redesign the standard inline-four cylinder engine, negotiations initially seemed to go well, but ultimately broke down. Ian Garrad lived close to where Carroll Shelby had his Shelby American operation and he approached Brian Rootes, head of sales for the Rootes Group, for funding and authorisation to build a prototype, to which Brian Rootes agreed. Ian Garrad, impatient to establish whether the conversion was feasible, commissioned racing driver and fabricator Ken Miles to build another prototype as quickly as he could. Miles was provided with a budget of $800, a Series II Alpine, a Ford V8 engine and a 2-speed automatic transmission, and in about a week he had a running V8 conversion, thus proving the concept. Shelby began work on his prototype, the car as it came to be known, in April 1963. Ian Garrad and John Panks, director of Rootes Motors Inc. it is apparent that we have a most successful experiment that can now be developed into a production car. Provisionally known as the Thunderbolt, the Shelby prototype was more polished than the Miles version, the Ford V8 was only 3.5 inches longer than the Alpines 4-cylinder engine it replaced, so the primary concern was the engines width. The Ford Fairlane is an automobile model that was sold between 1955 and 1970 by Ford in North America. 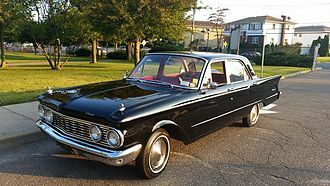 The name is derived from Henry Fords estate, Fair Lane, near Dearborn, over time, the name referred to a number of different cars in different classes, the Fairlane was initially a full-sized car, but became a mid-sized car from the 1962 model year. The mid-sized model spawned the Australian-built Fairlane in 1967, although in that market it was considered a large car, for the 1955 model year the Fairlane name replaced the Crestline as Fords premier full-sized offering. All featured the trademark stainless-steel Fairlane stripe on the side, power options were a 223 cu in straight-6 engine and a 272 cu in V8. The 292 cu in Y-block was offered as an option and was called the Thunderbird V-8. Few changes were made for 1956, a four-door Victoria hardtop and two new, more powerful V8 options, of 292 cu in and 312 cu in, the Lifeguard safety package was introduced. The two-door Victoria hardtop featured a new and slimmer roofline, a one-year only two-door station wagon, the 1956 Ford Parklane, featured Fairlane-level trim. It was marketed to compete against the Chevrolet Nomad, for 1957, a new style gave a longer, wider and sleeker look with low tailfins. 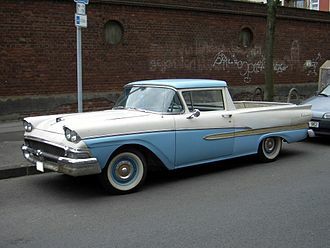 The new proportions and modern styling were a hit with customers to the extent that the Ford outsold Chevrolet in 1957 for the first time since 1935, a new top trim level was reversed, the Fairlane 500. For the first time, the lower-level Custom line had a shorter wheelbase than the Fairlane, engines were largely the same as the year before. The big news for 1957 was the introduction of the Fairlane 500 Skyliner power retractable hardtop, another facelift for 1958 had fashionable quad headlights, a grille that matched the 1958 Thunderbird, and other styling changes. New big-block FE V8s of 332 and 352 CID replaced the previous largest V8s, a new top-level full-sized model was introduced at mid-year 1959, the Ford Galaxie. The 1959 Galaxie displayed both Fairlane 500 and Galaxie badging, full-sized Fairlane and Fairlane 500 models were restyled for 1960 and again for the 1961 model year. 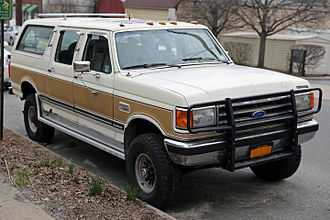 For the Ford Bronco II of 1983 to 1990, see Ford Bronco II. The Ford Bronco is a Multi-Purpose Vehicle manufactured and marketed by Ford from 1966 to 1996, the Bronco was introduced in 1966 as a competitor to the small four-wheel-drive compact SUVs that included the Jeep CJ-5 and International Harvester Scout, and it was built on its own platform. A major redesign in 1978 moved the Bronco to a larger size, most Broncos are usually equipped with a Spare tire swing away carrier found on the outside of the rear end door. From 1966 to 1996 Broncos were produced at Fords Michigan Truck Plant in Wayne, after years of rumors, the Bronco will return for the 2020 model year in its old assembly plant. The original Bronco was an ORV, intended to compete primarily with Jeep CJ models, the Broncos small size riding on a 92-inch wheelbase made it maneuverable for some uses, but impractical as a tow vehicle. The Bronco was Fords first compact SUV, the idea behind the Bronco began with Ford product manager Donald N.
Frey, who conceived the Ford Mustang, and similarly, Lee Iacocca pushed the idea through into production. The Bronco was designed under engineer Paul G. Axelrad, the rear suspension was more conventional, with leaf springs in a typical Hotchkiss design. A shift-on the-fly Dana transfer case and locking hubs were standard, the early Broncos were offered in wagon, and a less popular roadster configuration. The roadster version was dropped and the package, which became a model line, was added. Aftermarket accessories included campers, overdrive units, and the array of wheels, chassis. The Bronco sold well in its first year and remained in place after the CJ-5 until the advent of the full-sized Chevrolet Blazer in 1969. Lacking a dedicated small SUV platform, the Blazer was based on their full size pickup which was a larger and more powerful vehicle, offering greater luxury, comfort. The longer option list included an automatic transmission and power steering, by then, Blazer sales were double those of the Bronco, and International Harvester had seen the light and come out with the Scout II that was more in the Blazer class. The Ford Torino Talladega is a muscle car that was produced by Ford only during the first few weeks of 1969. 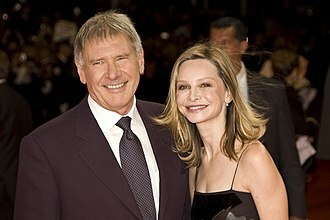 Fords Talladega was named after the Talladega Superspeedway racetrack in Alabama, the Ford Talladega was a special, more aerodynamic version of the Ford Torino / Fairlane Cobra. It is believed that a total of 754 Talladegas may have been built, the Bunkie Knudsen car was significantly different from all of the homologation cars with regard to options and color. This Talladega was even built at a different plant, Fords Lorain, all production examples were constructed during January and February 1969 at Fords Atlanta Assembly plant in Atlanta, Georgia. All production homologation cars produced after the cars were built between January 21 and February 28. A largely equivalent vehicle was produced under the Mercury marque as the Cyclone Spoiler II. The 1969 Ford Talladega was based on the Fairlane Cobra Sportsroof 2-door hardtop, to make the car more aerodynamic at high speeds, a sleeker front section was added. Regular production Fairlanes and Torinos had a then-fashionable inset grille and headlights, the Torino Talladega replaced this nose with one that extended the cars length by about six inches, with a flush-mounted grille on a more aerodynamic front end. These other special parts were normally only available when ordering a drag pack car which would have been equipped with a 4 speed. Racing versions of the car were fitted with the Ford FE427 side oiler engine that had been Fords main racing engine since 1963. 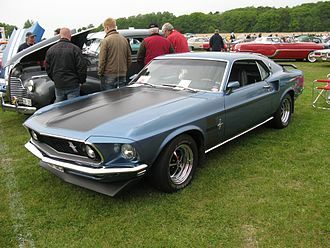 Later in the season, the Ford Boss 429 engine was used by many of the teams, after it had finally been declared officially homologated by NASCAR president, ironically the Boss 429 engine was actually homologated in the 1969 Ford Mustang Boss 429. In a very unusual move, Ford homologated the engine separately from the car in which it was to race, the only option actually offered on the production vehicles was the color, choices were, Wimbledon White, Royal Maroon, or Presidential Blue. The Torino Talladega did exactly what Ford hoped it would do on the circuit, it won 29 Grand National races during the 1969 and 1970 NASCAR seasons - far more than any other model. The Ford FE engine is a Ford V8 engine used in vehicles sold in the North American market between 1958 and 1976. The FE was introduced to replace the short-lived Ford Y-block engine and it was designed with room to be significantly expanded, and manufactured both as a top-oiler and side-oiler, and in displacements between 330 cu in and 428 cu in. The FE series engines were used in cars, buses, Ford produced the engine from 1958 and ceased production in 1976. Aftermarket support has continued, with replacement parts as well as many newly engineered and improved components, in Ford vehicles, the FE primarily powered full and midsize cars and trucks. In addition to its use in Ford and Mercury branded vehicles, the FE was sold to parties for use in their own products such as buses. 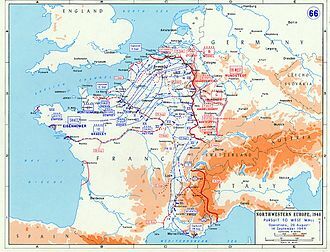 In addition, the FE was used to power pumps and other machinery where long-running, low-rpm. 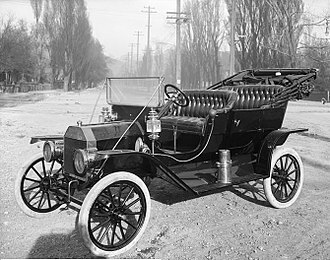 Ford regularly made updates to the design of the FE which appear as engineering codes or variations in casting numbers of parts, in addition to production casting codes, Ford made use of SK and XE numbers if the parts were one-offs or developmental designs not approved for production. 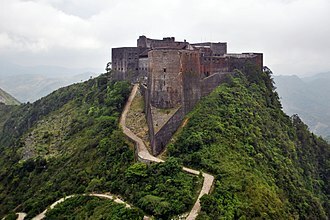 Many parts attached to Fords racing engines carried SK and XE numbers, a Ford FE from the factory weighed 650 lb with all iron components, while similar seven-liter offerings from GM and Chrysler weighed over 700 lb. With an aluminum intake and aluminum water pump the FE could be reduced to under 600 lb and this weight saving was significant to boaters and racers. The FE was popular in V-drive marine applications, available as an option in Chris Craft boats. Beginning in 1968, the U. S. Navy SEALS used twin 427 FEs to power their light SEAL support craft. Specific models that used FE engines include the AC Cobra MKIII, GT40s, the AC Frua, as well as various factory racing versions of Ford Mustangs, Ford Galaxies, Ford Fairlanes, and Ford Thunderbirds. In the 1960s, most organized racing events required either stock components or components that were available to the general public. For NASCAR racing, rules required that at least 500 vehicles be sold to the general public equipped as raced, many drag racing and road racing organizations had similar rules, which contributed to a wide range of performance parts being made available through Ford dealership parts counters. Mercury Marauder is a nameplate that was used by three separate full-size cars produced by the Mercury division of Ford Motor Company. Initially marketed as the Mercury equivalent of the Ford Galaxie 500XL from 1963 to 1965, after its replacement by the similar Mercury S-55, the Marauder made its return from 1969 to 1970, it was a fastback version of the Mercury Marquis. For the 2003 model year, the Mercury Marauder was revived, after lower than expected sales, the Marauder was discontinued at the end of the 2004 model year. It is the last rear-wheel drive sedan introduced by Ford in North America, the Marauder name made its first appearance in 1958 as Ford introduced a new introduced a new family of V8 engines for its Mercury and Lincoln brands. Exclusive to Mercury was a 383 cubic-inch V8, dubbed Marauder, it produced 330 hp with an optional 4-barrel carburetor. In that tune, the engine was available in the Montclair, shared with Lincoln, the 430 V8 was an option, though the Super Marauder option package was exclusive to Mercury. Consisting of three two-barrel carburetors, the Super Marauder V8 was notable for being the first engine advertised with a 400hp output, for both 1959 and 1960, the 383 and 430 were retuned with lower engine outputs, with the 400hp Super Marauder option lasting only for 1958. For 1960,383 Marauders became optional in all Mercury vehicles, including the Monterey, Park Lane, the Mercury Marauder debuted as a mid-year model, sometimes called 1963½ models. The Marauder featured a sloping notchback roof design, in contrast to the reverse-slated Breezeway roofline with a rear window that was used by the Lincoln Mark III, IV. The more fastback Marauder was available on the Monterey, Montclair, S-55, additional Marauder features included bucket seats, a central console, and other trim items similar to those in the Ford Galaxie 500/XL. This more aerodynamic roofline was developed for campaigning in the NASCAR circuit, in 1964, the Marauder became available in a four-door hardtop sedan, with a more fastback roofline. Many components were common to Ford and Mercury models including powertrain choices for the Marauder that were identical to the full-sized Fords, the 390,406, and 427 cubic-inch Thunderbird V8s, were available, with 3-speed or 4-speed manual, or a 3-speed automatic transmission. The Marauder was discontinued after the 1965 model year, with the role of the performance-oriented full-size Mercury available in a S-55 model, the Marauder was reintroduced into the Mercury lineup as a two-door hardtop body style for the 1969 model year. Repositioned from a model to a full-size personal luxury car. However, from the windshield rearward, the Marauder differed from the Marquis, the design was similar to the Ford XL and Ford Galaxie 500 SportsRoof, it featured a fastback roofline with a tunneled rear window. The Marauder incorporated non-functional louvered side air intakes in the quarter panels, a performance trim level of the Marauder was marketed as the Marauder X-100. Largely for appearance purposes, the X-100 included a choice of Twin Comfort Lounge seats, the X-100 featured Kelsey-Hayes road wheels along with rear fender skirts. The Ford Galaxie was a full-sized car that was built in the United States of America by Ford for model years 1959 through to 1974. The name was used for the top models in Fords full-size range from 1958 until 1961, for 1962, all full-size Fords wore the Galaxie badge, with 500 and 500/XL denoting the higher series. The Galaxie 500/LTD was introduced for 1965 followed by the Galaxie 500 7-Litre for 1966, the Galaxie 500 part was dropped from the LTD in 1966, and from the XL in 1967, however the basic series structuring levels were maintained. The regular Galaxie 500 continued below the LTD as Fords mid-level full-size model from 1965 until its demise at the end of the 1974 model year, the Galaxie was the high volume counterpart to the Chevrolet Impala. 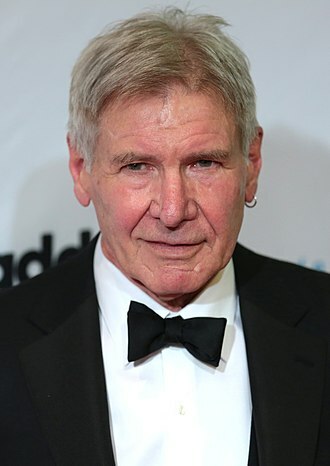 The similarly named Ford Galaxy is a large car/minivan available in the European market, the vehicles name is derived from the original Ford Galaxie. The 1959 Ford range was introduced in late 1958 with the Fairlane 500 as the top trim level, during the 1959 model year the Galaxie was added to the range as an additional trim level, assuming the top position from the Fairlane 500. The Galaxie was offered with the sedan and hardtop body styles as the Fairlane 500 whilst the Sunliner and Skyliner convertibles were moved across from the Fairlane 500 range. Styling varied from the Fairlane 500 with the addition of a Ford Thunderbird-style C pillar on all, although a separate series from the Fairlane 500,1959 Galaxie models carried both Fairlane 500 and Galaxie badging. In keeping with the era, the 1959 Galaxie was a chrome and it was the very image of the ostentatious late-1950s American automobiles, though somewhat tamer than its Chevrolet and Plymouth competitors. Ford advertised safety anchorage for the front seats, the parking brake was now a pedal. Seat belts, a dashboard, and child-proof rear door locks were optional, while a deep-dished steering wheel. Among the models was the Skyliner, moved upward from the Fairlane 500 model and this feature and expensive, left very little trunk room when folded down. Not until 2006, when the Pontiac G6 convertible, Peugeot 206 CC and Volkswagen Eos appeared, a fixture was the previous years 352 V8, still developing 300 horsepower. Lack of space under the bonnet makes some maintenance tasks difficult. Apart from the bigger engine the changes to the Mark II Tiger were largely cosmetic: the most obvious are the speed stripes and the "egg crate" radiator grille. A 351 Windsor V8 engine from a 1969 Ford Mustang: The Ranchero's installation was similar.